Kirkus calls this book “exhilarating and authoritative,” two cybergurus offering a “user’s manual to the twenty-first century.” As a longtime teacher, I find the manual to be flawed. I was interested in the authors’ observation that the failure of Microsoft’s professionally designed Encarta encyclopedia contrasted with the success of Wikipedia’s amateur-led platform as examples of push-pull consumerism, with suppliers “pushing” goods toward consumers and consumers “pulling” goods according to their needs, with Encarta being push and Wikipedia pull. Similarly, AOL, with its traditional push approach originally faltered and Twitter’s pull flourished. One assertions strikes me as particularly whacky. The authors insist that compasses are way more useful than maps. “A map implies a detailed knowledge of the terrain, and the existence of an optimum route; the compass is a far more flexible tool and requires the user to employ creativity and autonomy in discovering his or her own path…..a good compass…will always take you were you need to go.” I’d say it depends on where you are and where you want to go. I’m comfortable watching the compass when my hand is on the tiller only because of my husband’s careful study of the charts that have given him detailed knowledge of the shallows and hazards of Lake Champlain. It seems astounding that authors who have extolled compasses over maps can be so enthusiastic about KIPP schools, gushing,“KIPP schools have achieved admirable results in communities saddled with failing public schools. 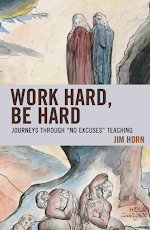 They focus on discipline, longer school days, and a steady diet of math, reading, writing, and homework.” The authors choose to ignore devastating research by scholars such as Professor Jim Horn whose Work Hard, Be Hard: Journeys Through “No Excuses” documents what it’s like to teach and be taught in KIPP with its straightjacket classroom conditions. No compasses here, only strict schedules that must be obeyed. 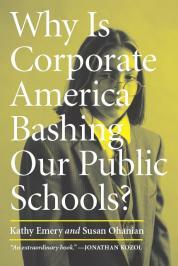 With breathtaking and heartbreaking examples, Horn shows that teacher behavior becomes reminiscent of subjects in Stanley Milgram’s infamous experiments—all to produce a corps of Blacks who obey orders. The authors intone about the importance of maintaining “a culture of creative disobedience,” emphasizing that human systems are most resilient at their most diverse. In promoting the assertion that all kids should learn coding, the authors nod toward research showing that “people learn best when they can connect the things they’re learning to their interests, their personal relationships.” After all, the Media Lab did much to promote this. 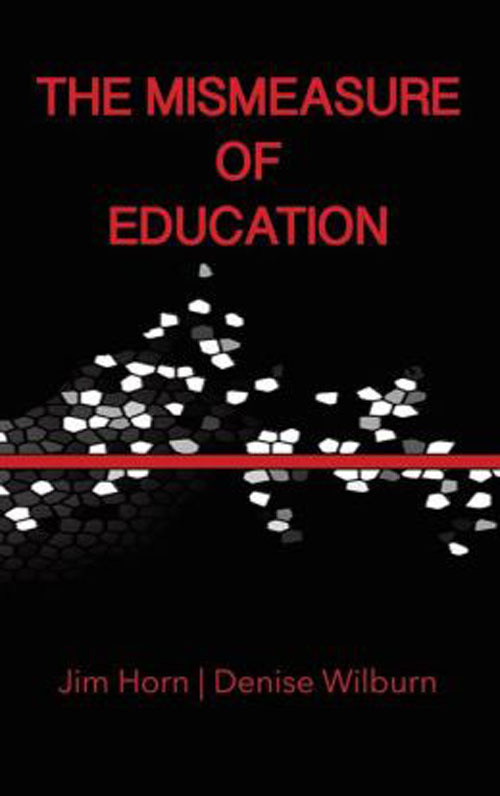 Think of Seymour Papert, the educational theorist, and Logo. But not for those kids, who need to bark on command. I can’t think of any school policy further from the Whiplash trumpet of “nonlinear innovation that can act quickly to the kind of rapid changes that characterize the network age.” For a reality check, I would recommend Frank McCourt’s wonderful description of his first attempt at classroom management in New York City. In Teacher Man he describes the chaos that ensues when kids swipe a kid’s baloney sandwich and toss it around. McCourt restores order by grabbing the sandwich, standing in front of the class, and eating it. The authors insist “When you emphasize practice over theory, you don’t need to wait for permission or explain yourself before you begin. And once you’ve started, if your circumstances change or your development process takes an unexpected turn, you don’t always need to stop and figure out what happened before you go on.” Maybe being married to a theoretical physicist is what caused me to jump at the first part of this assertion. Think Peter Higgs. In the 1960s Higgs proposed a theory that could explain the origin of the mass of elementary particles. Fifty-odd years later CERN announced that they had established the existence of a Higgs-like boson. Experimentally. Theory waiting a long time for practice to catch up. I also thought of my own experience as a teacher whose classroom practice was transformed by the “messing around in science” principle introduced by David Hawkins, founder of the Elementary Science Advisory Center. 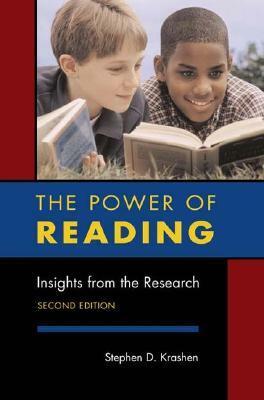 Hawkins’ work emerged from well-developed child development theory and I drew on it to change the way I taught remedial reading. Yes, I did need to ask permission before I started buying bones, pendulums, test tubes, and the like. And every day I watched the children very closely, thinking about what kids were doing , figuring out what it meant, and where and when I could give a nudge. When inspectors from the New York State Education Department came to see why the children’s standardized reading scores had soared, what they saw in practice left them more bewildered than when they had arrived. I am sure they would have understood a KIPP classroom. The authors promote some educational principles I applaud, but they are too quick to dismiss public schools and the teachers in them. Years ago, an education foundation hired me to travel the country looking at how elementary teachers were struggling to change the way they taught math. Visiting classrooms in twenty-eight states and looking closely at what was going on taught me that just because teachers weren't doing things my way didn't mean they weren't doing good in addition to doing well. The resulting book was titled Garbage Pizza, Patchwork Quilts, and Math Magic: Stories about Teachers Who Love to Teach and Children Who Love to Learn. It was named "best book for parents" by Child Magazine. Frank McCourt noted that in all his years of teaching, only one parent asked, "Is my child happy in school?" And when he said yes, she expressed approval and left. That's all she wanted to know. It was a big plenty. It’s a question all parents should ask. Teachers, too. Trump and Russia Connection? Watch This. Trump Makes Cover of Time Again!